Listen to your neighborhood in January, and you can hear the collective sigh, as holiday decorations are stored away, revealing a barren winter landscape. Why do we pack away lush garland and warm, twinkling lights just as winter is starting to take hold? Wouldn’t it be easier to handle the brutal temperatures and hard, frozen earth if we kept the place shrouded in artificial cheer? When winter gets me philosophizing about ways to fool myself into liking it, and let’s be clear, that is never happening, I turn to the precious loved ones who give me hope in the dark months—my house plants. Though most of my houseplants are dormant in the winter, meaning they stop putting off new growth or flowering, this is the time of year when they get a little extra TLC. I have renewed gratitude for these lovelies in winter, as they work hard to clean the air in my home; a home that becomes a veritable petri dish of germs my children bring in from preschool and elementary school. Yuck. And though poring over seed catalogues and planning new landscape designs is my idea of fun, my hands get twitchy if they aren’t submerged in dirt at least once a month. So here I offer several ways you can fuss over your houseplants in the winter to not only get your gardening fix, but also to look really busy to your family who might otherwise harass you for yet another game of Candyland. 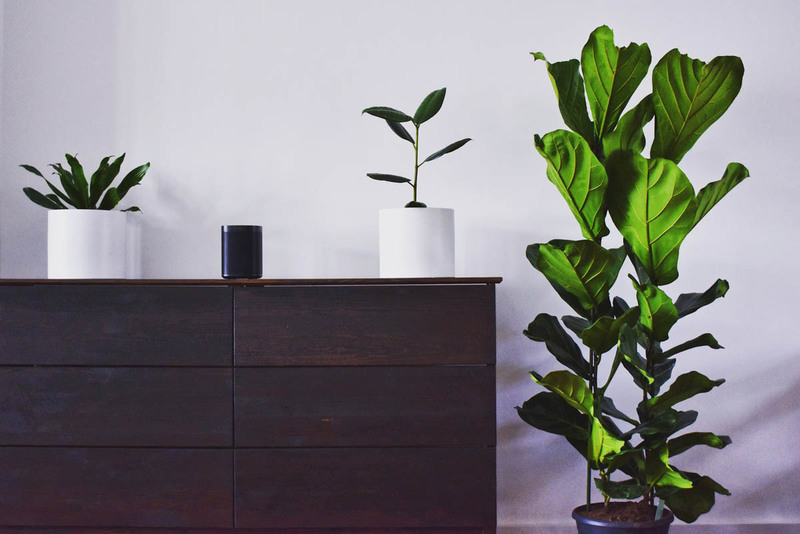 If your Fiddle Leaf Fig never performed quite like you thought it would, or your succulents are getting leggy from yearning for the sun, it may be time to consider a shift in location. It’s important to remember that different plants have different water, light, and humidity needs. And winter is a great time to reevaluate everyone’s living situation. I find some plants (I’m looking at you Fiddle Leaf) difficult to grow this time of year, due to the dry nature of my home. In fact, while wildly popular, the Fiddle Leaf is not one I would recommend to anyone without time to babysit a diva. In my home most of my windows have a radiator underneath, so anything that needs reliable sun exposure has to be able to handle dry heat in the colder months. Therefore, though they aren’t as Insta-worthy, for my money, the ZZ (Zamioculcus Zamiifolia), Snake Plant (Sansevieria), Aloe and assorted heat loving succulents are my go-to’s for radiator dwelling. The ZZ and the Snake Plant are also very forgiving if you forget to water or provide less than perfect conditions. Just don’t overwater, and you’ll have them forever. Speaking of Fickle (oops, but not really) Fiddle Leaf Figs, if you’ve had your heart set on a similar showstopper, but have dry indoor conditions, I would highly recommend the Hope Philodendron (Philodendron Selloum). It is an explosion of large, sunburst shaped leaves that won’t hate you for a little radiator adjacent positioning. It likes sun, but can handle partial sun; just don’t expect it to keep the same rate of growth as one that gets 6 hours or more of full sun exposure. The Hope Philodendron, popular Monstera Deliciosa, and unsung Arthropodium have proven much better options for my dry Brooklyn home with the window/radiator situation. If you have this issue I would highly recommend them. Just remember to up your watering if the leaves start to yellow or brown at the tips. If you have a plant whose health is flagging, and you know you’re doing right by it in terms of water and light, check the root situation. Most plants prefer to be re-potted when you bring them home from the nursery. They’ve mostly depleted the nutrients in the soil of those little plastic pots, so try giving them a fresh living situation soon after you bring them home. For many plants, a sprinkling of a slow-feed granule fertilizer and a fresh pot of dirt is all they need to get on their way. If an established houseplant seems sad, it may need a similar pick-me-up. Look to see if the roots are wrapping around the exterior of the plant, and if it seems to have outgrown its current situation, re-pot after teasing the roots apart a bit. While it’s tempting to juice up your houseplants with fertilizer during the winter months, these plants need a period of dormancy. 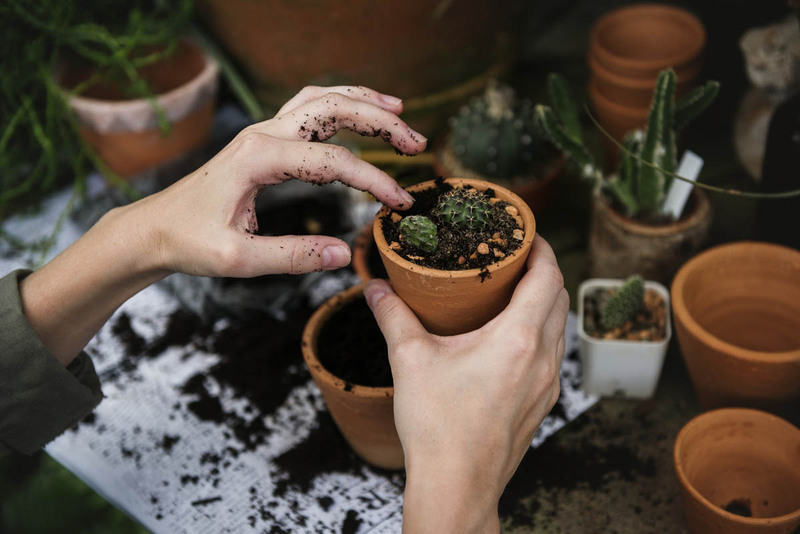 If you aren’t repotting, and adding granule fertilizer for a nutrient-rich new living environment, hold off on adding fertilizer to houseplants remaining in their current pots. You can get back on your feeding schedule in the early spring, but for now, just love them for what they are. 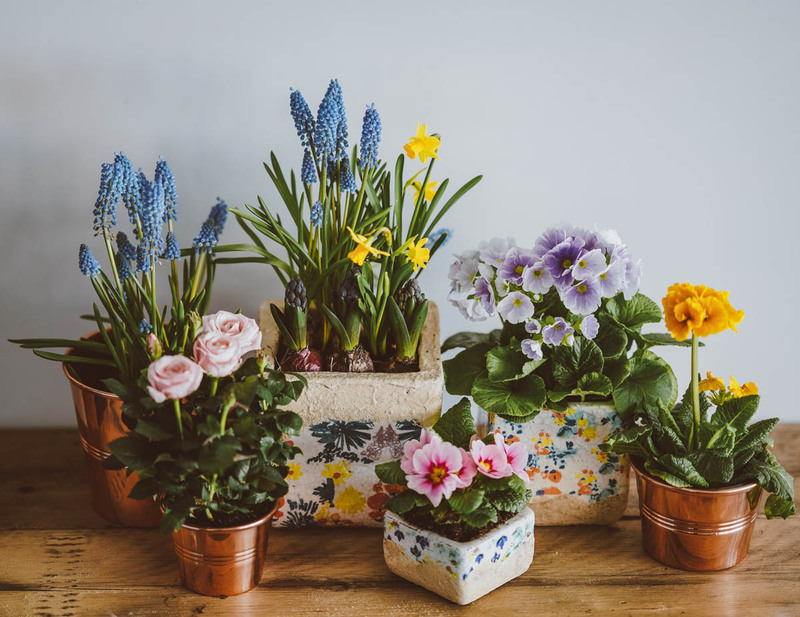 If you truly can’t survive one more week without blooms, there is an assortment of winter flowering plants that can keep you from doing something desperate. Amaryllis is a stunner, and barely needs water. Kalanchoe is a sweet, semi-succulent that could make you think kinder thoughts. And though I drop my Christmas Cactus like a hot rock as soon as buds poke through in March, in the winter I act like I really like them, so you could do that too! I know it seems impossible, but spring is just around the corner. Before you know it, March will be here, and with it dainty, bright-colored pansies and crocuses, followed by daffodils, tulips, and lilies, and then we’re off to races! But until then, thank your houseplants for softening your décor and the corners of your cold, cold heart. And have a cup of tea. This is a great way to ingest the souls of hundreds of plants that died just to make you feel cozy and warm. Namaste.